We are pleased to announce that Ruth Garside (University of Exeter, UK – see bio below) has been elected Co-chair of the Campbell Methods Coordinating Group, alongside Ariel Aloe (University of Iowa). Ruth was elected to this role unanimously following a call for nominations. "I would like to welcome Ruth in this role. Ruth joins me as the other Co-chair of the Campbell Methods Coordinating Group and I look forward to working closely with her and everyone at Campbell, as we continue to build a vibrant, collaborative global community to support the collaboration’s mission through the development and dissemination of rigorous methodology". 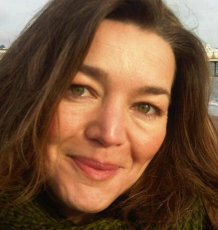 Ruth Garside is a Senior Lecturer in Evidence Synthesis at the European Centre for Environment and Human Health, part of the University of Exeter Medical School in the UK. Her research has centred on systematic review and evidence synthesis for 17 years and with the aim of making these practitioner and policy relevant. She is particularly interested in evaluating complex interventions, and has a focus on methods of synthesis for qualitative research. She has published evidence syntheses on a broad range of health and social care topics, and currently focuses on questions investigating the interconnections between the environment and human health. Ruth part of the UK Centre for the Collaboration for Environmental Evidence (CEE); a member of the Cochrane Qualitative and Implementation Methods group; and leads a working group developing guidance for qualitative evidence synthesis for both Campbell and CEE. She is also a core member of GRADE-CERQual (Confidence in Evidence Reviews of Qualitative research), writing guidance for policy makers about how to assess the confidence that can be placed in the findings from qualitative evidence synthesis.